On March 1st 2012, 20 years to the day since Bosnia Herzegovina declared its independence, Parliamentarians from across Europe travelled to the country as part of Project Maja. The project brought together nine British MPs, four MEPs, five Turkish MPs and MPs from Iceland and Poland, Members of the SDA in Bosnia Herzegovina, including Project Maja founder, Conservative Party Co-Chairman Baroness Warsi. Their aim was clear: to learn about the tragedy of the war in Bosnia and its aftermath, to give something back to their community and to build stronger links with Bosnia in order to help the fragile state achieve its political ambitions. The 40-strong delegation including representatives from the Mothers of Srebrenica travelled to Srebrenica, laying wreaths to remember the 8,000 victims of the 1995 genocide. 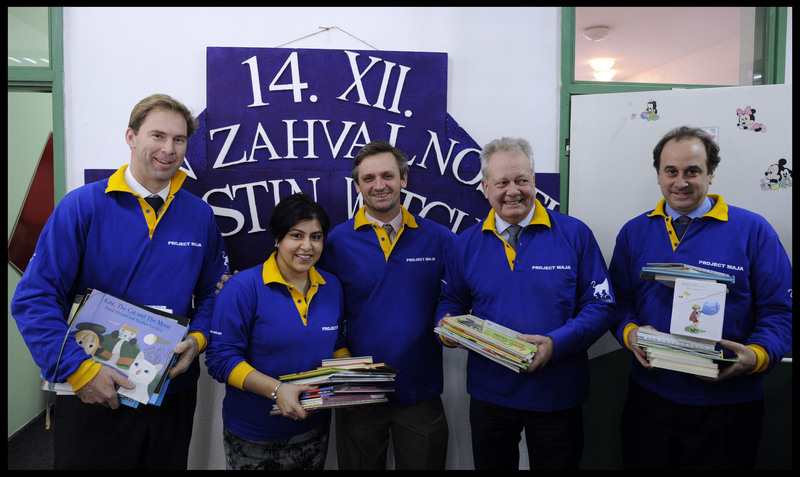 They also spent two days renovating the Christine Witcutt Centre, a school in Sarajevo for children with special needs. And they held high level meetings with their Bosnian counterparts in order to discuss the future of the country.